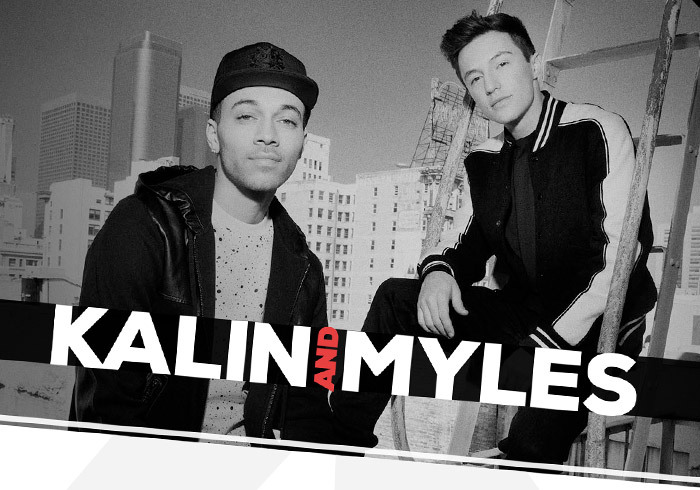 Site design for teen rappers, Kalin & Myles. Previously, their brand image skewed towards a younger teen audience in the use of bright colors and kids-y themes. As their lyrics and image are now more directed at older female teens, the artist's management wanted to reflect this in the look of their online presence. I began by making slight updates to their logo, ditching the previous juvenile font treatment and moving towards a more serious one. 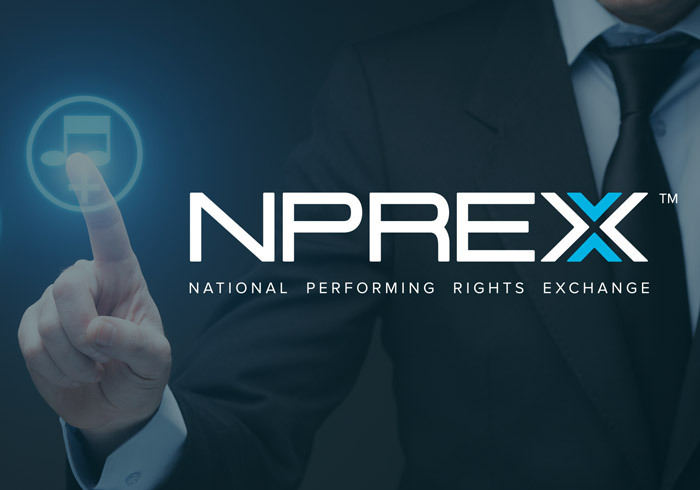 NPREX is an online music publishing exchange that provides buyers and sellers of music publishing rights to transact directly. The innovation is that unlike the current music industry publishing standard, this service allows a music buyer to pay licensing after the music is used, instead of before. This is a startup company with a bright future. I provided logo and branding design, site design, and shaped the provided content into a marketing message that better fits the web medium. Popular HLN anchor, New York Times Best Selling Author, and emerging country artist Robin Meade is the longtime host of "Morning Express with Robin Meade" and a singer-songwriter. 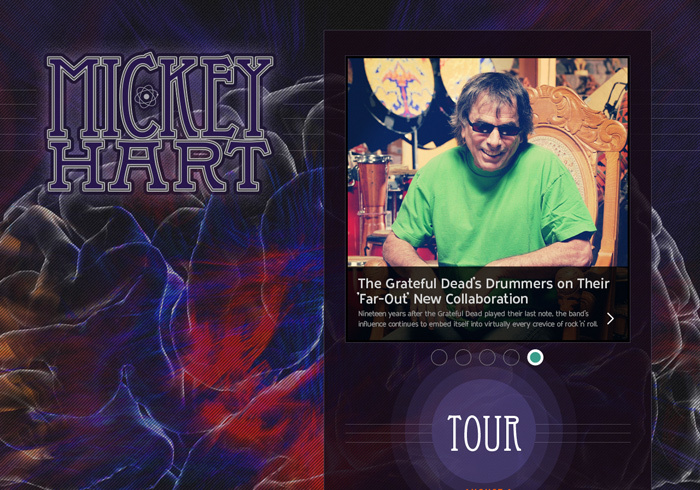 Mickey Hart is the drummer for the famous rock band, The Grateful Dead. Mickey provided us with scans of his brain taken while playing music, which became the starting point of the central theme in the background design. As one scrolls down the home page, different brain scans overlay the previous ones. Originally, this design was a "phase 1" design meant to be temporary with a full redesign to occur a few months after launch, however, this design became the final version. 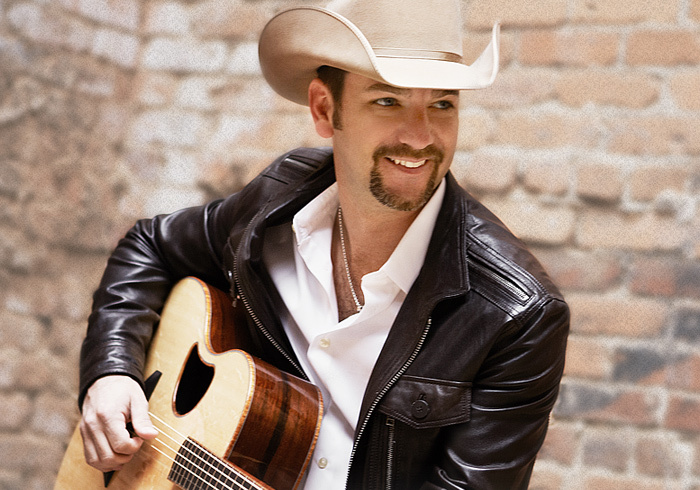 Craig Campbell is an up-and-coming country artist who debuted in 2011 on the Bigger Picture imprint. 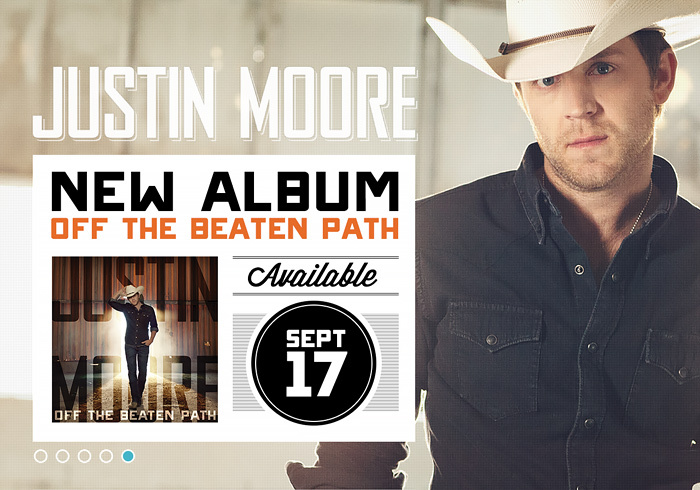 A veteran of the Nashville music scene for some time, Craig's sound has been compared to Alan Jackson, and his songs are blue-collar anthems with an honesty and earthiness. 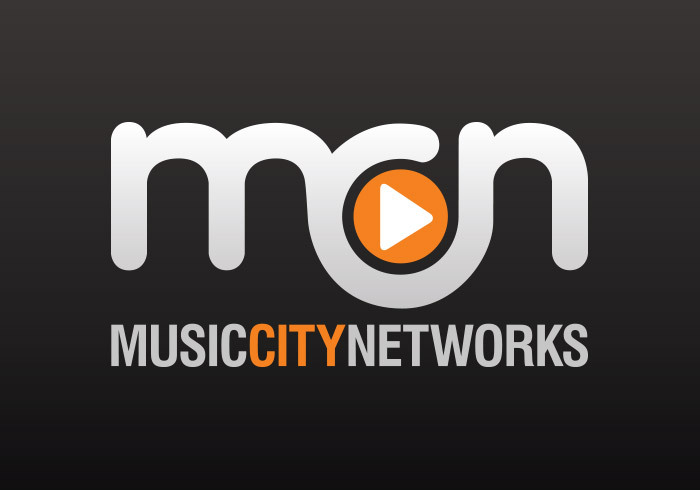 Music City Networks is a Nashville based tech company that specializes in providing websites and services to the music entertainment industry. Originally, when I designed the logo in 2008 the word mark was enclosed in a circle. Later in 2010 I updated it to remove the circle, which left the logo more manageable to be able to be fit into narrow layout space. 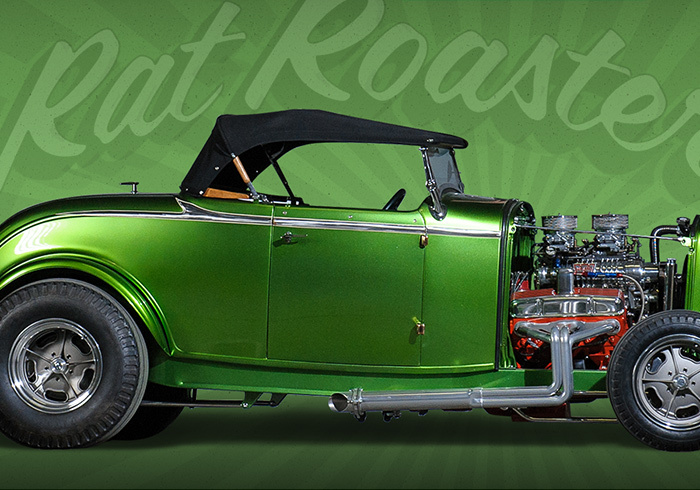 Stacey David is the host of the TV series GearZ on MavTV in which he works on vehicle modification and repair projects, often with a unique outcome, including cars, trucks, and hot rods. This project posed an interesting problem to solve in that the Drupal platform we'd built was primary nuanced for optimizing music artist site builds. Television shows, with episodes and seasons, posed a challenge to modify the system to meet a new vertical. 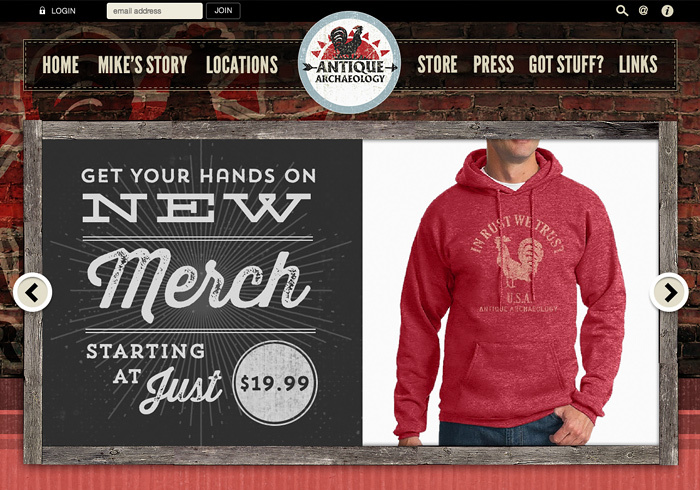 This is a quick proof-of-concept site design for the business owned by Mike Wolfe, creator and star of the television show "American Pickers". Mike is an avid hunter of antique treasures and their storied past. All works displayed are the copyright of their respective owners.